Still paying full price for Amazon devices? You're doing it wrong. Amazon has just opened its US pre-orders for the Fire TV Cube at $119.99 (no details on a UK release yet) and it looks like another fantastic piece of kit. But when we're this close to Amazon Prime Day, we'd certainly wait before taking the plunge. There will of course be plenty of other deals on a huge range of items on Prime Day 2018. To find out what sort of bargains to expect, along with dates and times to get the best deals be sure to check out our guide to Amazon Prime Day 2018. Why? Well, just in-case you didn't notice last year, Amazon loves to discount its own products on Prime Day. Admittedly, they also get a few timed-discounts throughout the year, but the best ones are reserved for the biggest sales event of the summer. Going off past discounts on Amazon devices, we fully expect the $119.99 asking price to drop to at least $99.99 on Prime Day, so we'd urge you to hold off on those pre-orders for now. What's the worst that could happen? It's not going to go up in price after all. Waiting will also give you a chance to check out the reviews before you buy as the device has only just been announced after all. The Fire TV Cube isn't actually out until June 21 in the US and a UK release date hasn't even been announced. Going off Amazon's recent form though, we do think this is shaping up to be another winner, combining the smart speaker skills of the Echo Dot with the 4K streaming Fire TV device makes complete sense to us. 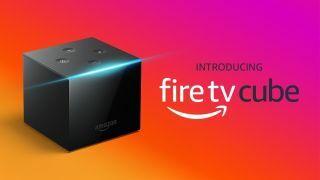 You'll get the most out of the Amazon Fire TV Cube if you're a member of Amazon Prime as you'll also get to enjoy loads of TV and movie content streamed in 4K. Not a member yet? You can currently sign-up for a 30-day free trial that will give you a month-long taste of all Prime benefits including super fast delivery. If you're not interested in 4K streaming yet, Amazon Prime Day will still have plenty to offer as we expect the standard Amazon Fire TV Stick to drop to an incredibly low price ($25/£25 maybe?) for HD streaming of Netflix, Amazon Prime and other smart TV apps. The Amazon Echo speakers and Kindles are bound to get big discounts too. We think Amazon Prime Day will be on July 10 this year -Amazon usually confirm the date in late June- so there's not too much longer to wait.